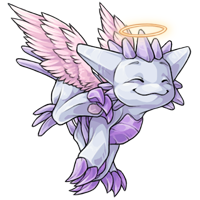 Cyndie the Angel Donadak has won the Pet Spotlight! Congrats! Nice profile and art. Love seeing Donadaks in the spotlight :) Wonderful job!